A lot of times, hitters find themselves feeling as though they have stopped driving the ball consistently with power. 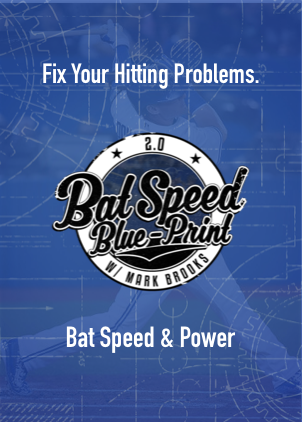 Just as well, hitters have experienced a lot of frustration not knowing why they have constantly been unable to hit breaking ball pitches or off-speed. A good bit of the time, this happens to a player simply because they are not getting their hands back correctly. One key component of hitting is getting your hands back before starting your swing. Your hands must move back before they move forward. Having a little forward movement towards the pitch is natural but hitters who have either developed bad habits or are simply inexperienced in carrying their upper half forward while they stride, will find themselves in trouble. If you fail to separate you will fail to produce uncoiled power in your core. So no separation, no power. When the stride foot is moved forward, a stride should be a few inches but no more than 6 to 8 inches, depending on the height of the hitter. Hitters who have had poor separation will find their balls coming weakly of the bat as lazy fly balls or weakly hit ground balls. 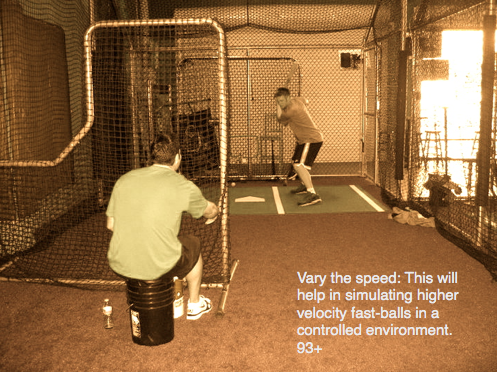 Without separation you will lose the ability to whip the bat through the zone with your core. Another thing that getting your hands back will do is allowing you to stay on breaking ball and off-speed pitches correctly. If for some reason you have a habit of getting out front, your hands can still be back enough for you to still drive the ball.. While it’s important to get your hands back, its more important to avoid barring your lead arm and allowing your swing to get big. Your hands must continue to stay inside the baseball. The point of getting your hands back is to be able to drive the ball with power (even for the little guys):) as well as stay back on off-speed, but you still have to think about staying short and compact. Its a balance of both qualities, and in order for the best swing both sides have to be understood and implemented. Not keeping your hands inside the ball after the swing has started ,will force you to get jammed, and overemphasizing the movement of getting your hands back takes away your ability to get to the hitting zone in time. 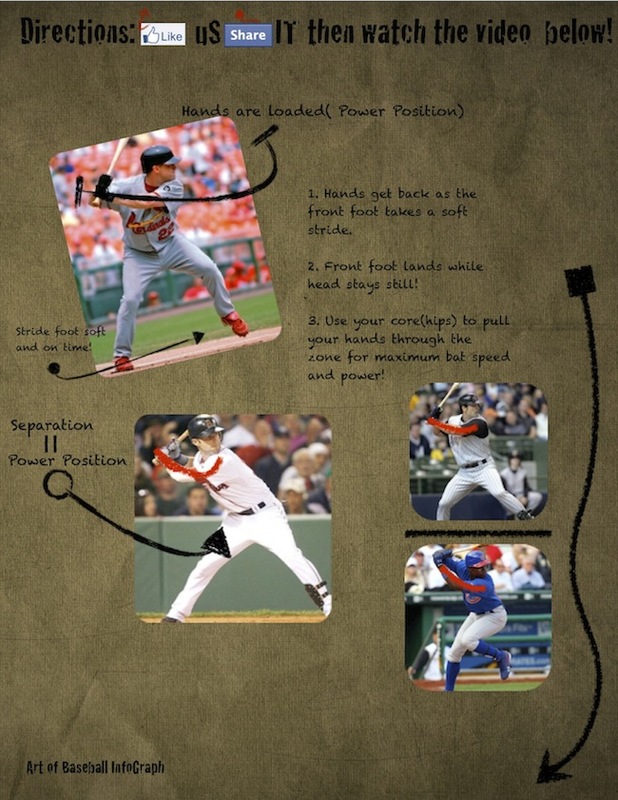 • With your hands now back use them to consistently drive off-speed and breaking pitches. • After getting hands back, continue to keep hands inside the ball. • Stay short and compact. 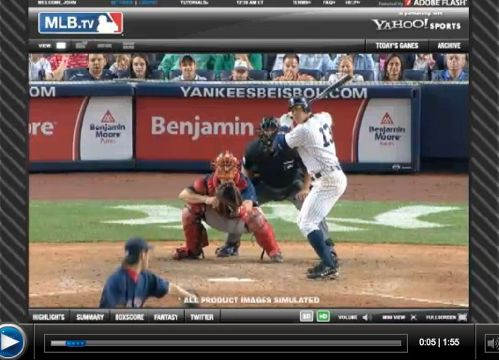 Notice the pictures of hitters to the right. Their hands have gone back as they move their stride foot. While taking a few practice swings in front of a mirror, face the mirror as though you were facing a pitcher. As you start your stride attempt to get your hands back in the correct position. Your hands should be hidden behind your body. Your stride foot should land softly as your hands move slightly back. This will also help in keeping your front shoulder closed up until you start your swing. Imagine as you swing your hands are back and your lead arm is able to cover the front logo on you jersey. 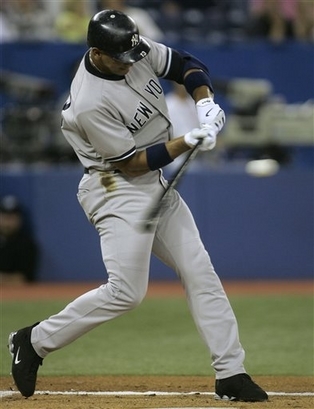 As you move your hands back, note that the angle of the bat should stay the same. Ex-Moving the hands back shouldn’t force the bat head to move closer to your head. I hope you enjoy these batting tips! 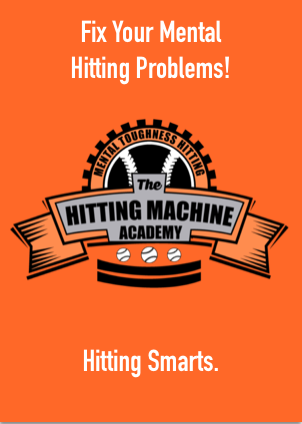 Fill Free to take a look at our other hitting drills! Indoor baseball drill # 1- Hands inside the ball drill. One of the most important habits you can incorporate into your swing is the ability to keep your hands inside of the baseball. For a hitter mastering the ability to hit the inner half of the ball will allow him to do some very important things like seeing the ball longer. The better your able to stay inside, the longer you can wait. The longer you can wait, the less strike outs you will have, the higher batting average you will have, and ultimately the better situational hitter you will become. When I think of who was the best example of someone who consistently stays inside the ball, I think Derek Jeter. And here, he gives a great example of staying inside the ball. 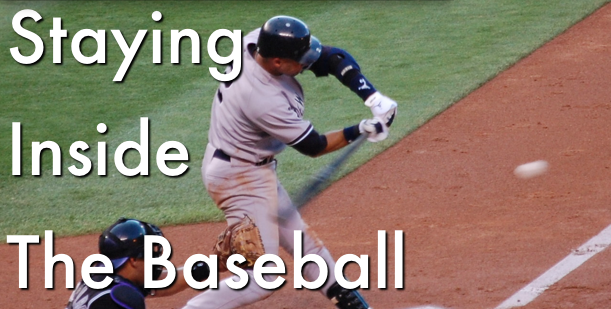 So how can you incorporate hitting inside the baseball consistently? Take a look at this video by Jason Giambi which illustrates the basics of the “inside out swing” with a simple indoor baseball drill. Also you can check another important video that showcases other drills that help with staying inside the ball. Rolling over on pitches is something that will happen to every player throughout the course of a season. Chances are if you rolled over on a pitch, the pitcher did a good job of keeping you off balance. You either were fooled on a breaking ball pitch or you just simply failed to stay inside the baseball. Rolling over isn’t the worst thing you can do, but allowing it to become a bad habit will be detrimental to your batting average. So how do you keep from rolling over on pitches?! It’s actually pretty simple. Here are five simple batting tips. 1. Keep your hands inside the baseball. 2. Allow the ball to get deep in the zone. 4. Cut the field in half and have a completly oppisate field approach. 5. 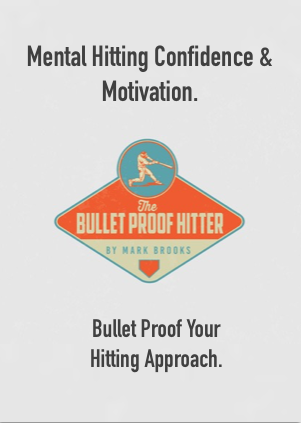 Focus on throwing the knob of the bat toward the ball. 6. Understanding the concept of the inside-out swing. Many hitters, especially power hitters have been called “pull hitters”. 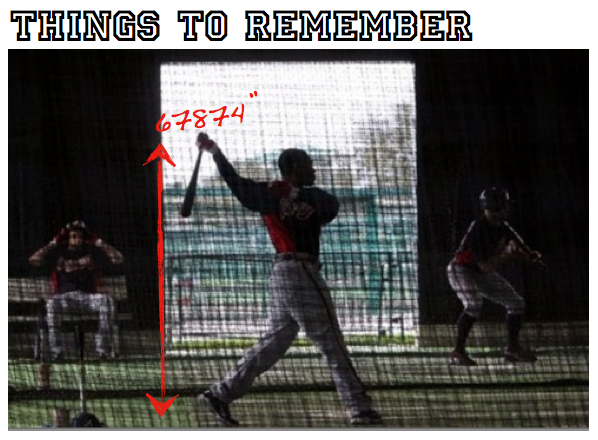 This means that majority of pitches they hit are contacted in the front of the hitting zone. Hitters like this tend to be great fast ball hitters, but struggle with off-speed and breaking ball pitches. Being a pull hitter and rolling over can be ideal for left handers who are in situational hitting situations. Certain situations may call for you to get a guy from second to third with less than two outs. Practice the inside out swing. Take a few practice swings at about 30%. Yes I said 30%:) Focus on pushing the knob of the bat as far forward without releasing your top hand foward and allowing the bat head to come through. Take 20-25 swings then move to the next drill. Stand parallel to a wall or net. The distance between you and the wall should be about the length of the bat that you will be using. Get in your stance an attempt to take controlled balanced swings, while focusing on keeping your hands inside. If the bat hits the net or wall , your not keeping your hands inside enough, so adjust accordingly. Place a Hitting tee not on the inner half but middle in half of the plate. Focus on keeping your hands inside and hit to the back of the net. The ball should be hit middle away even though the pitch is slightly in. If you pull the pitch, your not keeping your hands in for long enough so adjust accordingly.